Success Story on "iCiX: Getting Value from Quality Design"
This short eBook will help you answer the question "how do I upgrade the look of our website to make a great impression ... but with the balance of innovation, simplicity and serious focus on business solutions?" This short eBook will give you the bird's eye view of a website project for a software client. At BayCreative, we believe that designing a website is about designing a particular user experience. That both improves value to your visitors and value to your company. Contact us today! 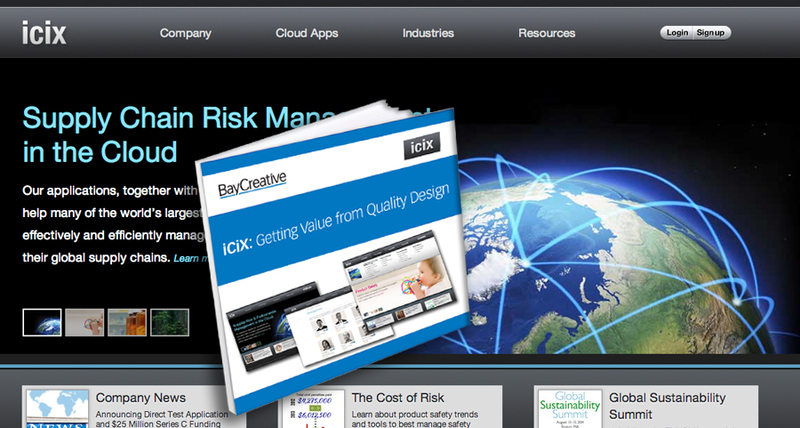 We only gave BayCreative two weeks to develop a new website design that achieved the right user experience. The website launched on time and we've gotten not only great reviews but also increased business. It would have been a mistake to have this done by anybody other than BayCreative."